Purchasing property anywhere in the world is a huge financial commitment and this holds true for Dubai as well. With its offering of a luxurious lifestyle and dynamic living environment, Dubai appeals to people from all parts of the globe. In the last decade, Dubai has seen an explosion in the real estate market that has put it firmly on the global property market scene. This is, in part, due to legislation passed by the UAE government in 2002 that allowed foreigners to purchase freehold and leasehold properties in designated areas within Dubai. This legislation has helped to boost sale of property within the emirate. To ensure that your financial investment is safe guarded, it is necessary to follow a streamlined purchasing process. There are a couple of different ways to purchase property within the emirate; the simplest way is to buy off-plan, where you select a property that has been designed on paper, but not yet built. Most developments will have a sample villa or apartment that will indicate the level and quality of finishes you can expect. This process typically starts with an online registration process and once this is successfully completed, you arrive on a predetermined date with all the relevant documents to select your unit by paying the initial 10% deposit. It then takes about two to three years for you to receive the keys to your finished unit. The other method of purchase is to buy a pre-constructed property on the secondary market. This process is much quicker, but can be complicated by external factors such as the financial status of the seller. 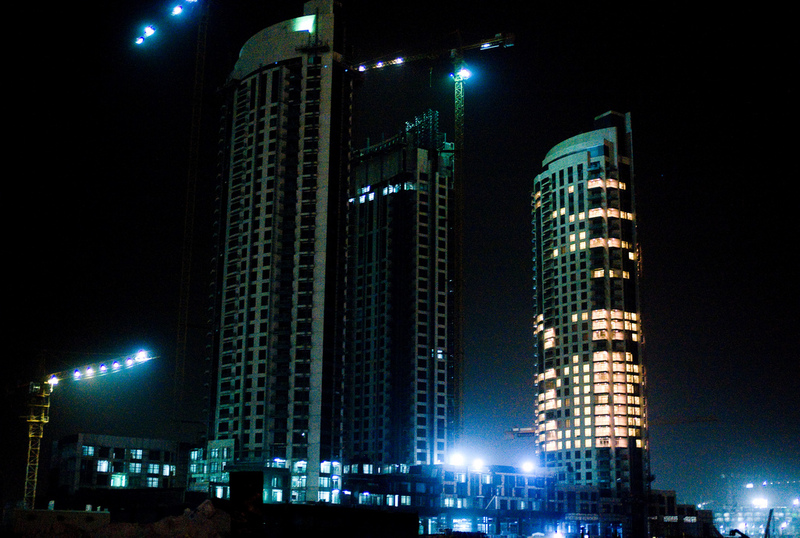 The tips below are meant to guide first times buyers on how to buy property in Dubai. Select the appropriate property – Dubai has much to offer in terms of residential properties; new developments are popping up all the time with new and improved facilities so make sure to do your research before beginning the purchasing process. Draw up a checklist of the ten most crucial criteria your dream property should possess; this may include particular size and dimensions, access to public transport, suitable surrounding or the availability of amenities in the vicinity of your future home. This will help to streamline your search and also ensure that relevant properties are shortlisted for consideration. Select a reputable real estate agency to represent your interests. Real estate consultants are familiar with the ins and outs of the purchasing process and are aware of all the legalities that need to be taken care of. A dependable real estate consultant can make the purchasing process simpler, more efficient and safer for the buyer. Make sure your agent is registered with RERA (Real Estate Regulatory Agency); despite the best efforts of the Dubai Land Department and RERA, there are still many unlicensed brokers in the market. If you are buying a property off-plan, check the developer’s credentials prior to putting down any booking amount. Look at other properties the developer has built, the quality of finishes, reliability of the handover schedule, whether the developer is registered with RERA and whether they have a registered Escrow account. Ensure that any payments made will be transferred to this registered account. If you are buying a property from a seller who has a mortgage on the property, the buyer must be in a position to discharge the seller’s mortgage before they can receive their title deed from the land department. Buyers need to be pre-approved before they start looking for a property; a good real estate consultant will ask for pre-approval to ensure that you have the financial means to go through with the deal. Pre-approval can save time if you find the right property and also ensures that you don’t waste your time or your agent’s time looking for properties when you are not approved for finance. Once the buyer’s offer has been accepted by the seller, a MoU (Memorandum of Understanding) will be drawn up outlining all relevant costs to both the buyer and the seller. For mortgaged properties, the buyer’s bank will then carry out a valuation to determine the condition of the property and ensure that it is secure enough for the bank to lend against. This is usually carried out by an external surveying company that reports its findings back to the bank. Once you get final approval from the bank, the seller will then apply to the developer for an NOC (No Objection Certificate). The NOC ensures that the buyer is not inheriting any debt on the property and that the property in question is ready for transfer at the Dubai Land Department. Read and understand your contract thoroughly before you sign on the dotted line. For buyers who are purchasing a property with a mortgage, make sure that your contract has an ‘opt-out-clause’; this protects the buyer from having to make more down payments or forfeiting his deposit money in the event that the bank evaluation comes in lower than expected. To protect your investment, ensure that you make a deposit on the property only after you have received final approval from the bank on the financing amount for the property. The entire purchasing process from start to finish can take as little as a fortnight for cash transactions or may take up to two months if a mortgage is involved. On the day of the transfer, the buyer and seller along with their real estate and bank representatives will meet in Deira at the Land Department. Once all fees to the Land Department as well as seller’s purchase price and agent’s commissions have been paid, the buyer will be given the title deed and keys to their new home.